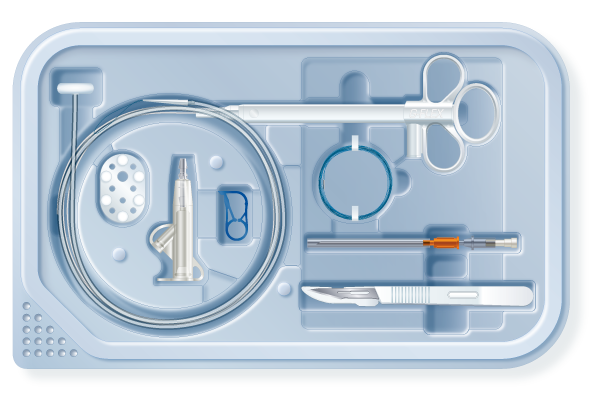 Hpbio Kit for Percutaneous Endoscopic Gastrostomy includes, in a single package, the implantable PEG tube for feeding system and all the accessories required for its implantation by endoscopic route using the Pull technique. The percutaneous endoscopic gastrostomy (PEG) is a simple and safe method intended for the administration of long-term enteral nutrition in patients whose gastrointestinal tract is functional, but who are unable to receive sufficient nutritional intake through oral route. 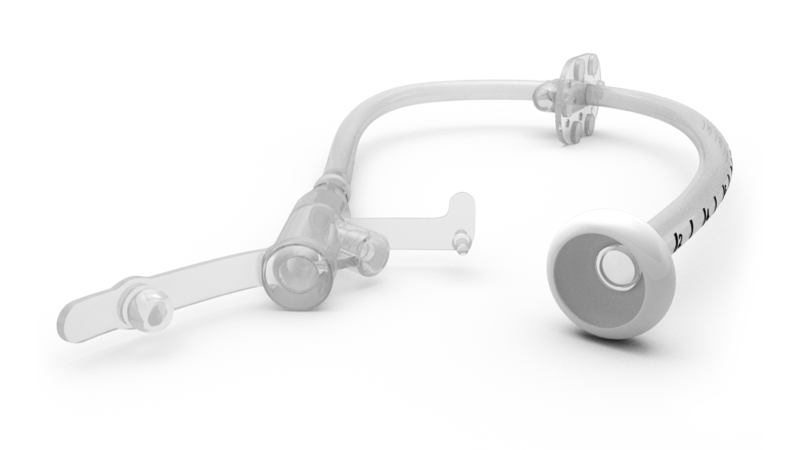 Silicone Catheter graded every 01 centimeter, retention disk made in radiopaque silicone with suitable form and rigidity to safely anchor the catheter. 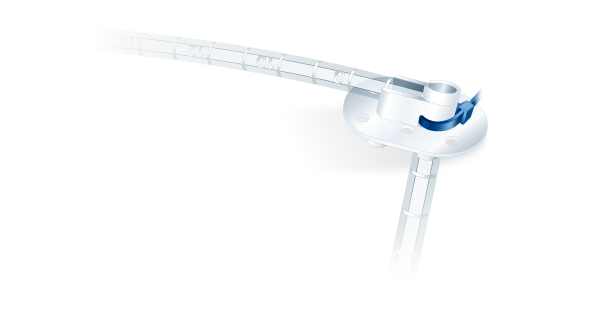 External Support allows to angle the catheter in 90° for better accommodation of catheter and more comfort to patient. Used to perfectly place the catheter, therefore avoid migration into the stomach. 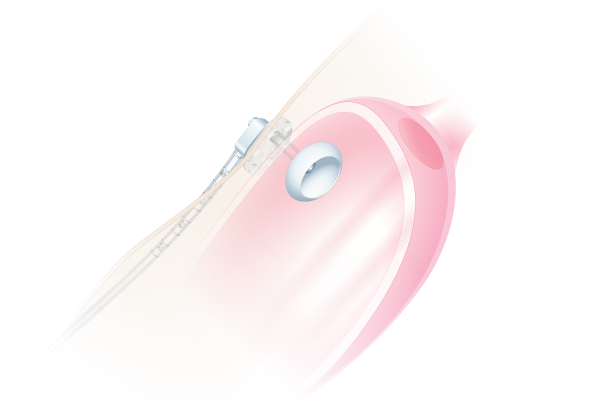 It’s conical and elongated design makes the catheter’s passage through the skin easier. Traction loop with stainless steel coated wire is safely attached to the tip. Made in silicone, with caps attached to connector and tight seal. • Needle for puncture and anesthesia. Imagens escaneadas diretamente de chapas de Raio-X dos implantes em pacientes que utilizam o sistema. Note: The technical information for these products is not limited to the characteristics presented in this catalog. For complete information, request the Instructions for use at info@hpbio.com.br. © 2013 HpBio | Próteses, inc. All rights reserved.